Welcome to our Children’s Vitamins section! Children’s vitamins can make a big difference in the overall health and well-being of your children. With the right quality products, your kids will be getting all the supplements they need. Trying to select the right children’s supplements can be a difficult task, and the best way to start is with high-quality, targeted multivitamins. With picky eaters and busy schedules, it’s important to consider that the foods children eat may not be providing enough of essential vitamins, and other nutrients to keep the body healthy and immune system strong. Surrey Natural offers you children’s products that consist of wide range of vitamins, minerals and supplements in chewable forms. These products are specifically formulated for kids. Since your kids are at an important stage of development, they need childrens vitamins with iron to ensure they don’t develop any kind of anemia. Vitamin D supplements for children are important for proper bone growth. Combined with the correct nutrition and regular exercise, multivitamins can be of great help to promote general health and wellness. Without adequate vitamins products, nourishment deficiencies and inactivity could lead to future health issues. These products are specifically formulated for kids, to ensure that they have the right balance of nutrients. From such a wide range of products available in a variety of flavors, you can easily find the right ones for your kids. Make sure you are getting the best multivitamins for children. 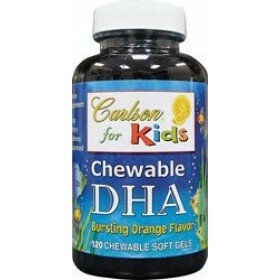 Browse through our complete line of Children’s vitamins that contribute to a child’s healthy growth and development. Great Lemon Taste Natural Triglyceride Form Fish Oil & Borage Oil + Vitamin D3 ..